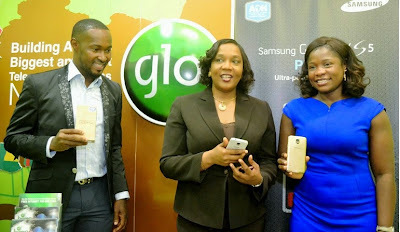 According to reports by Leadership.ng, The Nigerian Communications Commission (NCC) has declared that Globacom Nigeria is the leader in new internet subscriber acquisition in the country’s telecommunications industry. It was learnt that the conclusion was made based on a report from relevant statistics in the third quarter of 2015 that Globacom gained the highest number of internet users in September of 2015 with over a million new internet users on its network. The industry regulator said that Globacom had 21,896,229 internet users on its network as at the end of September, up from 20,765,379 data users in August; the figure showed an addition of 1,130,850 new internet subscribers. Globacom’s figure was much more than the total number of new internet users who joined the three other major telecom operators, MTN, Airtel, and Etisalat. The three recorded a combined total of 716,450 new internet subscribers in September. The closest to Globacom was MTN which recorded an additional 423,448 new internet users on its network. Airtel placed third with 235,941 new subscribers while Etisalat recorded the least number of new internet users in the industry with additional 57,061 new data subscribers joining the network in September. Globacom has for several months been leading the race for the acquisition of new internet users in the market. For instance, the network added 1,434,830 data users last August while MTN recorded 309,960 and Etisalat 147,149 new internet surfers. Airtel on its part had a drop of 110,838. The steady growth in the number of data subscribers on the Globacom network is said to be a fallout of the improved data services which followed the network’s improvement exercise carried out by the company. Globacom had also launched several attractive and user-friendly packages which appeal to data users.